Square One Services is your local source for total Pressure Washing services you can count on. 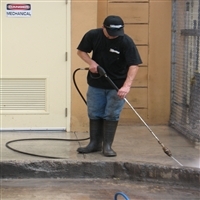 We offer a full menu of Pressure Washing Services for your Business need's, including Surface Cleaning, Oil, Gum, Mildew Removal and many other Services. 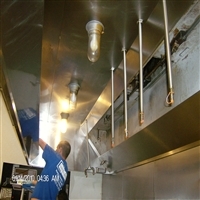 Now we have our Commercial Kitchen Hood & Duct Cleaning Service. Your local Square One care professional can explain all the different Pressure Washing, Surface Cleaning, Services offered in your neighborhood. To give your property that well- maintained look. We use specialized equipment designed for performance and efficiency. General Maintenance Package. Hygienic: Equipment and hard surfaces are thoroughly cleaned and sanitized. Staff safety: Reduce OHS risks and employee injuries. Safe for food areas: Chemical-free steam. Time and cost efficient: Save hours of tough manual cleaning. All hot cooking equipment parts taken apart and degreased. 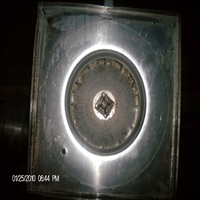 Structures also degreased thoroughly and seals inspected. Floor surfaces under equipment degreased using Water and steam clean while open floor areas are scrubbed and a wet pick up machine used to collect liquid, grease and floor debris. Preparation area and table surfaces will be thoroughly degreased with attention paid to underside and lips of benches. Detachable parts will be removed by hand and thoroughly cleaned and sanitized. Clean and wipe down Salamanders. Wash and wipe down Kitchen walls. Degrease and pressure wash star Burners. 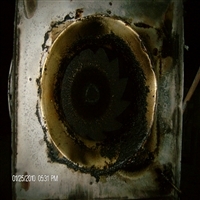 De-carbon and clean Char Broiler Grades. 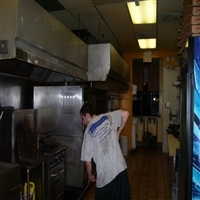 Wash behind the hot line (oven, stove, fryers) to cut down on grease build up, which is a major fire hazard. Wipe down the dry storage area. All equipment will be re-assembled upon completion. Sink units will be thoroughly degreased externally. Remove Hood Filters and degrease. Anti bactericide will be used in waste traps. MSDS regulation data sheets will be available on site for all detergents used. The use of sanitizing products on work surfaces will ensure food safety. Call Square One to learn about additional services that we offer.